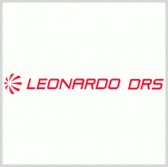 Leonardo DRS has announced plans to establish a manufacturing and engineering development facility and main offices for the company’s land systems business in Bridgeton, Mo. The complex will replace an existing 50-year-old facility and feature engineering, light production and laboratory space that can also support the unit's efforts to integrate ground platforms for U.S. military customers, Leonardo DRS said Thursday. As part of the expansion effort, the company partnered with the Pattonville School District to launch science, technology, engineering and math education programs for the region’s high school students. The land systems business also has an 85-acre complex for heavy manufacturing activities in West Plains.